Where Can Soapstone Be Found? Egyptian faience was a ceramic material created to resemble precious stones, such as turquoise and lapis lazuli. Ancient Egyptians used faience to produce a range of objects including jewelry, figurines, tiles and architectural elements. Faience objects were common in ancient Egypt as well as other regions of the Near East and the Mediterranean. Faience consists of a glazed ceramic made from ground quartz or sand. Firing the material in a kiln produces a glass-like surface with a lustrous blue-green color. In ancient Egypt, faience was known as "tjehnet," which means brilliant. Its reflective properties and radiance were symbolic of life, reincarnation and immortality. The methods of making faience began as early as the Predynastic period, before 3000 B.C. 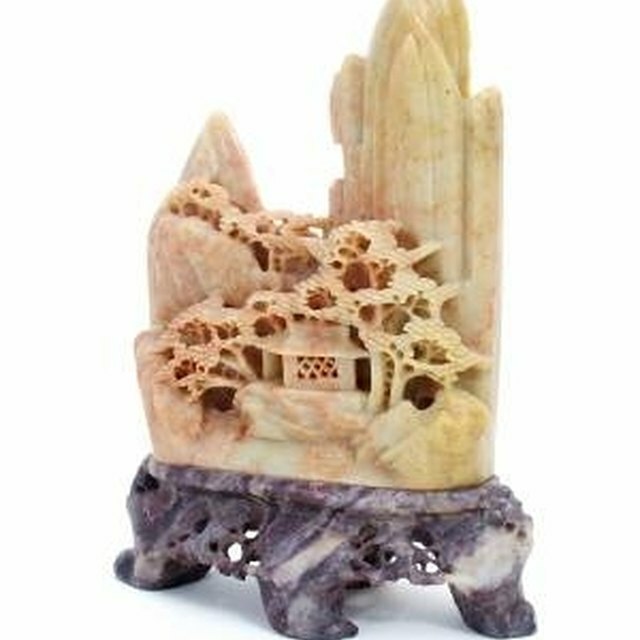 Artisans began glazing objects crafted from soapstone. They also tried modeling quartz paste. Using stoneworking techniques, they made faience beads and amulets. During the Middle Kingdom period, faience production was developed and refined with the addition of copper compounds. In the New Kingdom period, around 1500 B.C., the advent of glass technology enriched faience with other hues and glazes. Artisans also mixed faience with the same materials used to make glass. The new and improved material led to innovative designs, colors and shapes. These artifacts are considered the finest examples of Egyptian faience. A gradual shift toward glazed pottery led to the decline of faience in the ancient world. Amulets were not just decorative accessories in ancient Egypt but an integral part of spiritual life. Egyptians wore amulets to defend against illness, bring good fortune and repel evil spirits. They also buried amulets with the dead to protect their souls in the afterlife. With its malleable texture, faience could be sculpted to represent protective deities, such as the god Thoth. The color of faience was also perfectly suited for amulets since, in Egyptian culture, blue-green symbolized life and good health. Egyptians used faience for highly valued objects such as palace decorations and imperial vessels. Likewise, they employed faience in sacred temple offerings, tomb decorations and mummy trappings. They sculpted figures of deities, humans, animals and symbols to be offered as dedications in sanctuaries all over Egypt. Faience also served as a useful material for carving small tiles for inlaying into furniture. Egyptians produced these items as grave gifts. They made larger wall tiles to decorate palaces, temples and tombs. The most notable examples of Egyptian faience tiles are 36,000 specimens lining the underground chambers of King Djoser’s pyramid at Saqqara. Leigh, Shannon. "Faience in Ancient Egypt." 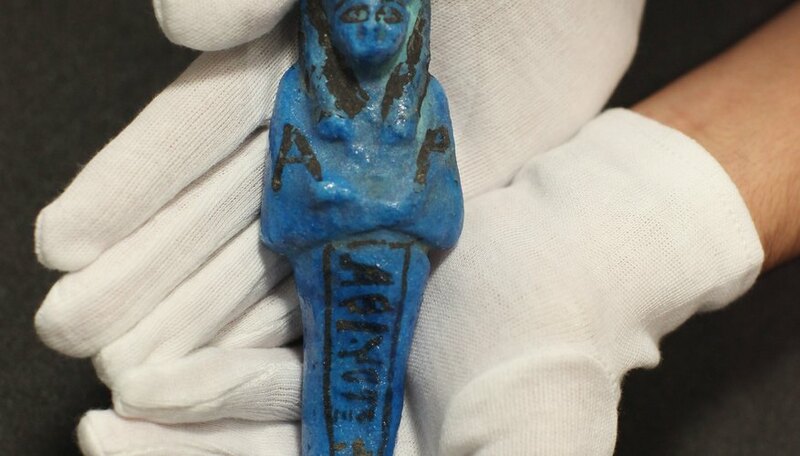 Sciencing, https://sciencing.com/faience-ancient-egypt-7582.html. 25 April 2017. What Were Seashells Used for in Ancient Times?